A collection of thirteen one-of-a-kind residences. 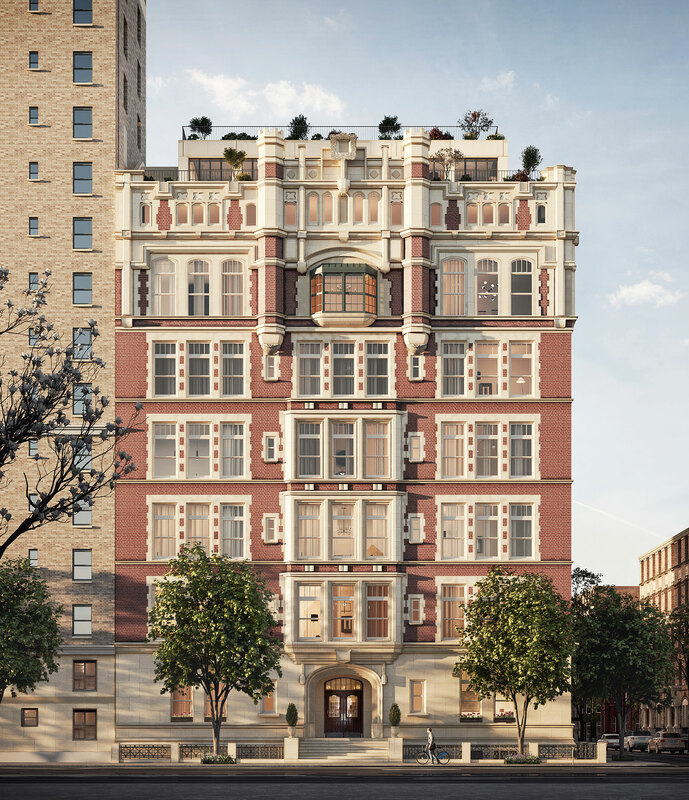 555 West End Avenue is a residential project without equal in New York City. 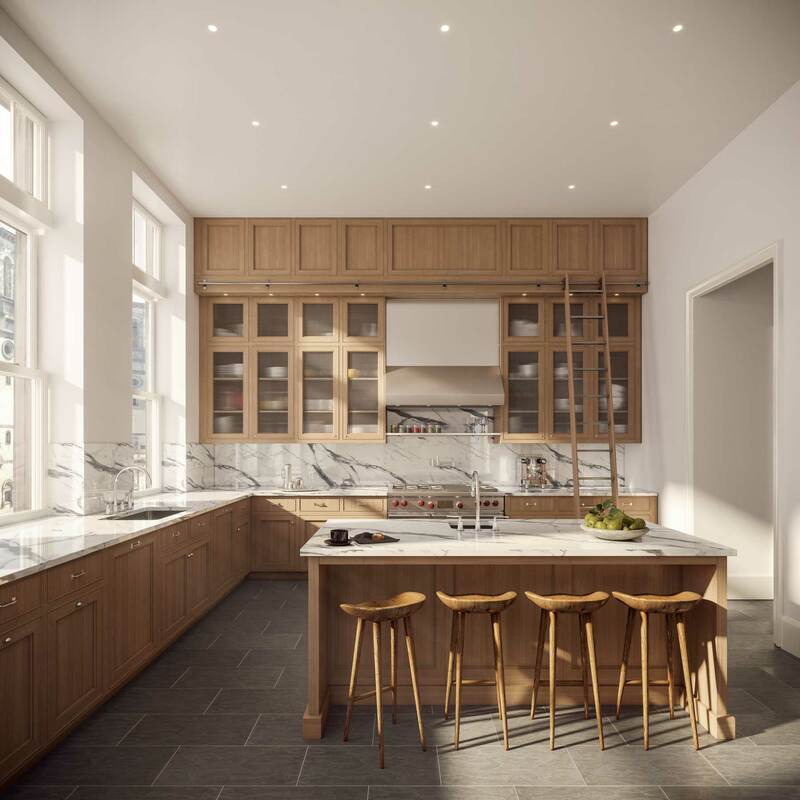 Magnificent three- to five-bedroom residences bring together the very best elements of prewar co-ops, condominiums, urban lofts, and townhouses—extraordinary volumes with gracious floor plans and impeccable detailing. Located one block from Riverside Park and surrounded by the grand apartment houses of prestigious West End Avenue—the Upper West Side’s answer to Park Avenue—555 West End Avenue’s historic Beaux-Arts architecture has character, authenticity, and an old-world sense of craftsmanship and detail that rivals the most exclusive cooperatives on Riverside Drive and Central Park West. 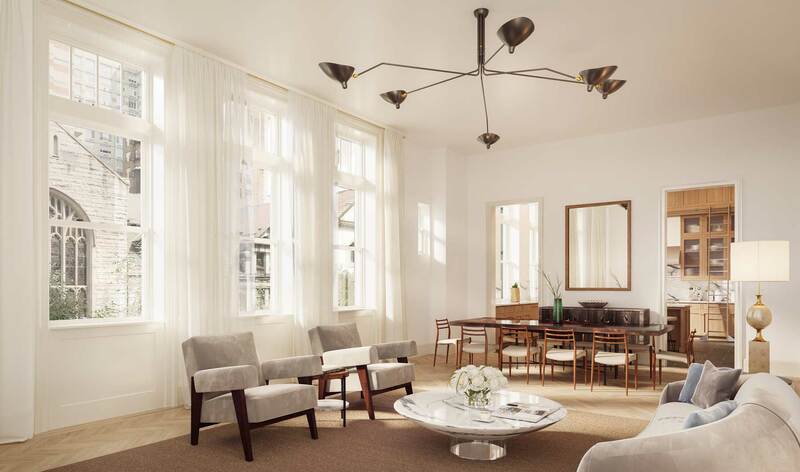 Spectacular light-filled volumes with towering ceilings and incomparably tall windows, like this Great Room of a Flats residence, are a hallmark of 555 West End Avenue. Voluminous eat-in kitchens with extra-tall windows providing abundant natural light take advantage of ceiling heights that soar to more than 12-1/2 feet.